Here at KB Design, It is our mission to help people understand who they are and create a home, an office, or a space that is based on their personality and unique needs! Linda Fleck is the owner of Diversified Design. She has been able to apply her artistic talents with her love of interiors and antiques in creating her interior design business. I want you to LOVE your home! I specialize in comfortable, family-friendly spaces that suit your style and budget. Our design goal is to realize your vision through interior design, re-design, and staging. We consider our clients an important partner in this process to ensure that your desires and needs are met! Whether it’s designing new construction, outfitting a boutique commercial project or furnishing your dream house, Belle Grey Design excels at making a statement. 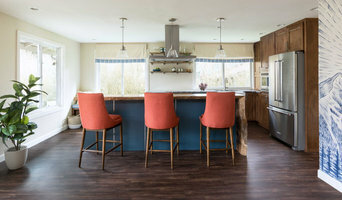 Naturally Inspired Designs is a Full Service, Residential Interior Design firm, specializing in creating spaces in your home that meet your individual and unique needs, wants and desires! It is my drive to create the place in your home that makes you want to curl up and stay because it not only functions well for the way you live, but is also the beautiful space you had in your head that you didn't know how to describe. Naturally Inspired means that your designer is blessed with Inspiration from Nature and it's Creator, and also driven to design with Natural Products and Materials that will contribute to your health and the environment for you and your grandchildren in the future. From Nurseries to Family Rooms, Bedrooms to, Kitchens and Baths, your ideas become our inspiration! For the last 15 years, I have focused on helping my clients achieve their dream of creating a beautiful home; a place to relax & feel welcome. At Kari Joki Design, our goal is to make this a reality! My love for interior design started at a very young age when I would help with my family's annual holiday decorating. I just loved the creative process of finding the right spot to display each piece to highlight its individual qualities and beauty. Knowing design was more than just a personal hobby, I chose to turn my passion into a career. I received my Bachelor’s of Applied Arts in Interior Design from Bellevue College in 2011. As an interior designer, I have a trained eye for individual materials and how to create unique combinations through color, texture and feel. I will listen to your personal needs and will assist you to design a space that is expertly matched to your own individual preferences and aesthetic. Everything in your home expresses your own unique style. I enjoy the process of discovering what that style is and will offer my experience to create a space that exceeds your expectations. Working with the items you love, I will design a cohesive look for your living space using layering techniques, color, comfortable furnishings and accessories. The end result is a space that will be the home you always wanted. We are a full service interior design company based in Redmond, WA, specializing in bringing European sophistication and refined details to North American homes. Allison Lind Interiors is an interior design firm that does things a little differently. We don't just design spaces. We create connections between people and their space. Everyone has a style, and knowing yours is as important to us as the space itself. So we'll start by getting to know you, your must-haves, and perhaps an always-wanted, or two. And from there, we'll create a space we know you'll love. Not just because it's beautiful. But because its yours. Pulp Design Studios creates beautiful award-winning interiors that reflect the individual style of our clients, bringing function and value to your home and lifestyle. Heidi Caillier is an interior designer based in Seattle and San Francisco. Her design philosophy is that homes should be comfortable and livable while still being beautiful and interesting. Heidi's style mixes old with new, integrating textures and color that are then layered with pieces that have history and feel travelled. Her intrinsic love of antiques and materials with raw and natural textures balance her appreciation of color and pattern to create spaces that feel practical and effortless. Nicolette is an interior architect with 10 years of experience in designing beautiful and inspirational spaces for residential and commercial clients in the US and Europe. Much of what turns an everyday house into a sumptuous & inviting home can be boiled down to three things: Beautiful, well-placed lighting, warm colors & quality furnishings. This is where we start! Tammara Stroud Design is a full service interior design firm. We strive to create environments that inspire the eye and the soul from new construction to renovation projects. We specialize in a fresh, modern and environmentally conscious approach to interior spaces. We believe a home should reflect the owner’s personality and desires. Keeping this in mind, the end result is uniquely theirs. Our goal is to successfully blend function and beauty to create balanced living. Call or email to schedule an appointment at our new design studio/showroom. With all my clients, I offer a unique, and always collaborative approach to their interior design needs. Together, we will find your vision for the space & define your design style. Deering Design Studio, Inc. is an award winning Interior Design firm which enjoys a reputation for providing clients with diverse and personalized design solutions. With projects ranging from private homes to large corporate offices and retail spaces, Marilyn Deering has provided quality full service interior design in the Seattle area for many years. Drawing on her experience in visual art, psychology and interior design, Marilyn has a strong desire to improve people’s lives by bringing logical purpose and personal style to their environments--whether at work, play or home. Her firm is committed to honest communication, organized methods and thoughtful designs. Marilyn and her staff strive to be trusted consultants who expertly guide clients through the decision process. Projects are designed with each client’s budget and unique style firmly in mind. PCS Design is a full service residential, remodel, and new construction interior designer firm. Since 1995, PCS Design has worked with award winning builders to offer comprehensive design services. INTERIOR DESIGN AND DECORATING. - High-end interior design and interior decor. - Remodeling construction plans for entire home, kitchens or bathrooms. - New construction collaboration with your architect and contractor. 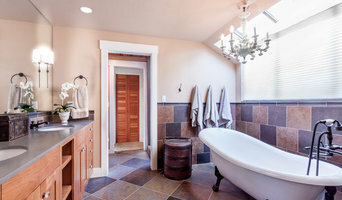 Amanda George Interior Design partners with United Seattle LLC to provide quality installations. We are dedicated to bringing beauty and comfort to your home. Fenestra Design brings confidence and expertise into every selection and decision. Our clients always comment that they enjoy the entire process not to mention the outstanding spaces we help create. 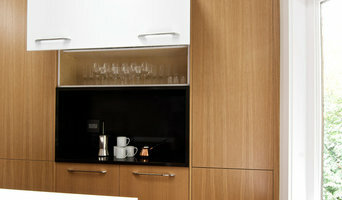 Full service interior design firm based in Seattle. Whether you need to bring design to just one room, or your entire home, I am passionate about finding creative, aesthetic solutions that fully express your style and meet your budget. Nicolette Bouw, Amsterdam native known for creating unique, luxury designs for residential and commercial clients worldwide. Nicolette is an Interior Architect with NIBIO, founded in 2007. She loves a design challenge and is known for well-designed layouts and meticulous space planning. Cracking the code of impossible spaces is her one of her most sought-after design services. With over eleven years of experience, the Dutch-born interior designer’s sophisticated and unique style fascinates residential and commercial clients in the U.S. and Europe. Home owners appreciate the extensive range of options she purposes to explore the project thoroughly. She understands the importance of guiding clients through the process and keeping them updated at all times to make well-informed design decisions. Communication, budget, and timing are core values the company lives by to bring your vision to life. NIBIO is recognized for sophisticated design aesthetics, the natural flow of spaces, clean and balanced designs, yet with a frugal touch. We are a full-service Interior Design Firm that focuses on building quality relationships with our clients. We are located in the Seattle/Redmond area, also working all over Pacific Northwest. The work of a professional can make all the difference. Whether your home has 10 bedrooms, or your apartment is 800 square feet, it can be tricky to create a cohesive look that is representative of your style. That's where a local Inglewood-Finn Hill interior designer comes in. A home decorator will help distill your tastes and ideas into a design that suits the needs of your space. Whether you need help creating a functional space plan, rearranging existing pieces, designing the inside of a new home, or simply sourcing amazing furniture and decor, seeking the help of professional interior designers and decorators in Inglewood-Finn Hill, WA is a must. A good home design professional will hone your style down to its very essence and be able to choose a functional layout that feels natural to you. Interior design companies can be involved as much or as little as the client desires. Many clients who hire an interior decorator in Inglewood-Finn Hill, WA — particularly those who are remodeling — have a good sense of how the room should look and what products they should use. Often clients will insist that interior decorators use the products already present in the house. Other times a designer will need to start from scratch — especially if this is a newly purchased or just-built home. An interior design company will need to figure out exactly what the client needs, which includes organizing rooms, picking flooring and wall colors, and finding furniture to complement it all. Sometimes that means he or she will have to recruit help from other Inglewood-Finn Hill, WA home professionals to help create the perfect look for your renovation. Here are some related professionals and vendors to complement the work of interior designers & decorators: Architects & Building Designers, General Contractors, Home Builders, Design-Build Firms, Photographers. Do your research before meeting with an interior designer or home decorator in Inglewood-Finn Hill, WA. Ask yourself what you want your space to become and what it will be used for. Figure out the extent of what you need help with, what your must-haves are and what your budget is. Interior design services can add up fast, so be up front with a potential design firm or individual from the beginning. Also, pick an interior decorator that fits your style. Browse through the portfolios of different Inglewood-Finn Hill interior design firms and decide if you would live in those houses. Just because you like something doesn’t mean you could live in it. There's a big difference! Find an interior designer or home decorator in Inglewood-Finn Hill, WA on Houzz. Narrow your search in the Professionals section to find Inglewood-Finn Hill interior designers near you. You can also look through Inglewood-Finn Hill, WA photos to find a room you like, then contact the design firm who designed it.